Kali Gandaki River, which begins its journey from the Tibetan plateau, is named after Goddess Kali and is considered as a divine mother but the Hindus. Paddling across the 55 kilometers long river will make you feel an adrenaline experience of the exhilarating class 3 and 4 rapids which will race your heart. The put in point of this expedition is Maldhunga (3.5 hours from Pokhara) and the take out point is Mirmi (5 hours from Pokhara). Kali Gandaki Gorge is the deepest gorge in the world. 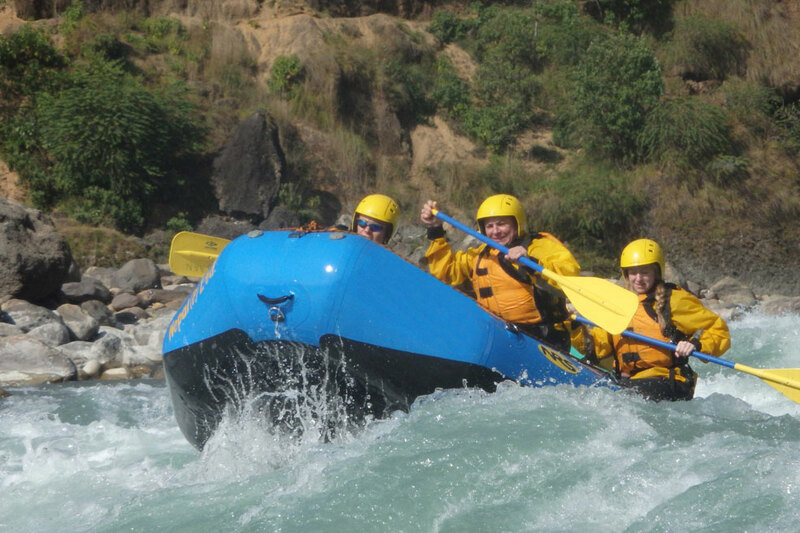 The river passes down the plains of Dhaulagiri and Annapurna range; and alongside the river you will find tumbling waterfalls you can play in. Relax around the fire on the sandy white beach campsites with your rafting team at the end of the day; and the best seasons to get a much better experience are from September to December and March to May. 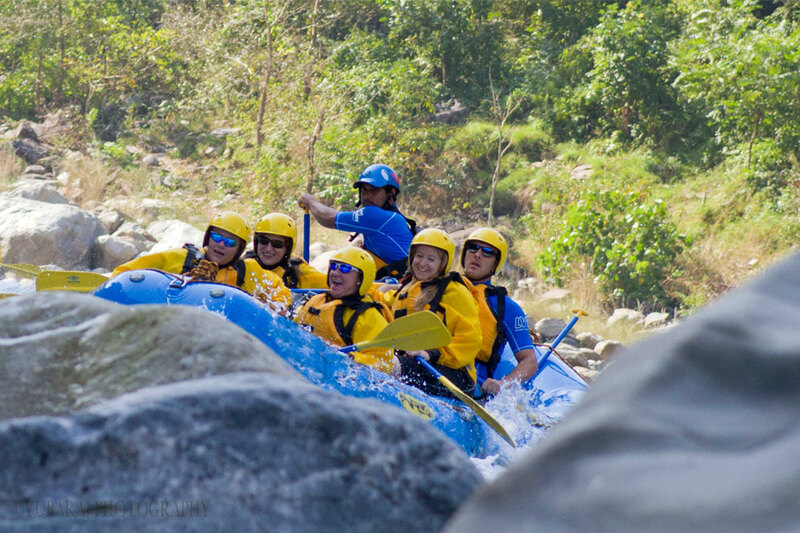 If you’re looking for a short length trip full of adventure, this rafting expedition is just the right one for you! We will drive to Maldhunga from Pokhara. 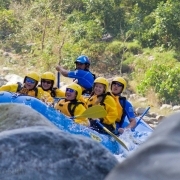 Before we hit the raft, the rafting equipments are prepares with the help of our professional guides and they will brief you about the raft and safety measures. We will hit the Big Brother, Small Brother and many other rapids today. 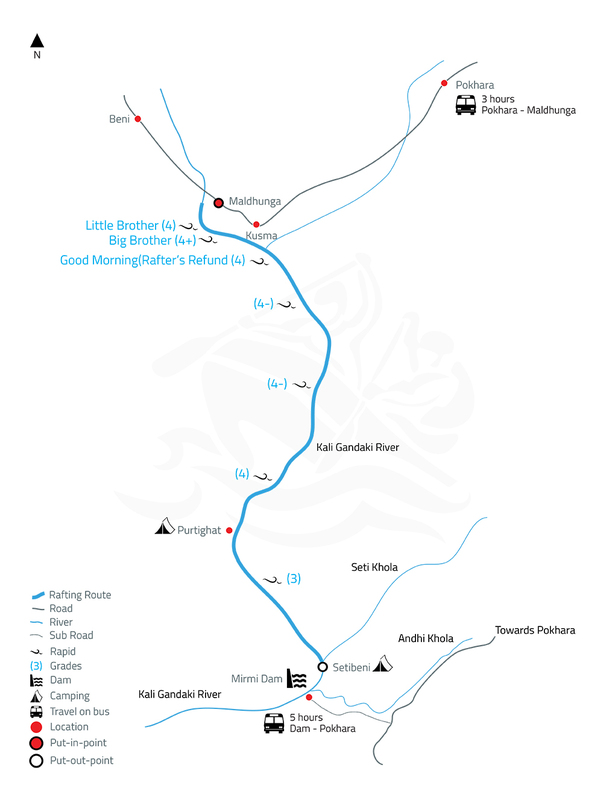 Our camp site for the first day will be at Modhi Khola. After a heartwarming breakfast, we float down the river. 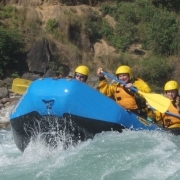 We will tackle the Good Morning rapid and some class 3 and 4 rapids while witnessing the breathtaking view of the Himalayas and waterfalls before reaching Purti Ghat, the campsite for the day. We will raft towards Setibeni today and as usual we hit small rapids today. Paddling around the Setibeni, we will see some black rocks called Shaligram which are worshipped by the Hindus as the manifestations of Lord Vishnu. We continue to raft until we reach our take out point, i.e. Mirmi. From there we head back to Pokhara by bus which takes about five hours.